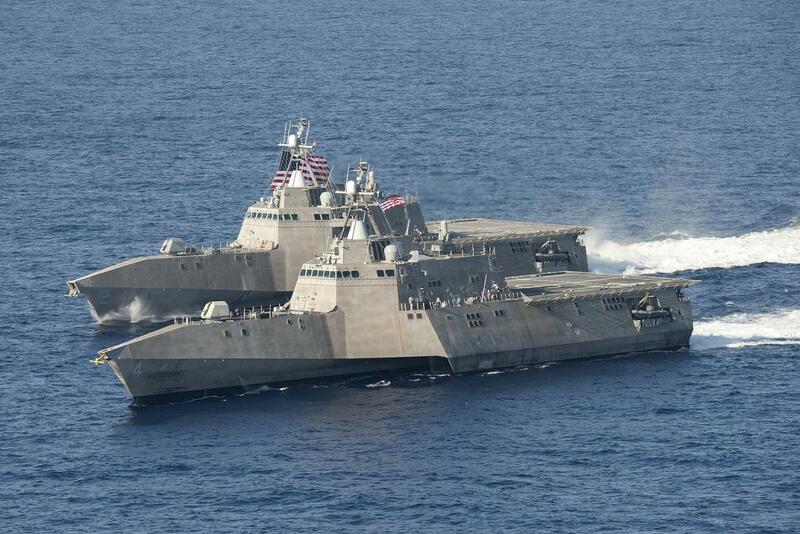 Austal has secured a US$16.5 million contract from the United States Department of Defence to provide engineering and management services for the Independence Class Littoral Combat Ship, USS Charleston (LCS 18). Austal CEO, David Singleton said the company will provide program management, advanced planning, engineering, design, prefabrication and material kitting, with the work to be conducted by Austal USA across the Mobile, Alabama and San Diego, California facilities. “Austal’s Independence Class, Littoral Combat Ship program supports industry throughout the United State,” Mr Singleton continued. Originally designed in Austal’s Centre for excellence in maritime design in Henderson, WA, the LCS’s are built at the company’s facilities in Mobile, Alabama. The program is in a full rate of production with several ships under construction simultaneously. With the additional two vessel order announced in September this year, there will be 17 Independence Class vessels in service with the U.S. Navy by the end of 2023.